Meetings for a specific group. There are 2 meetings that match this search request. Didn't find what you were looking for? Try another search. 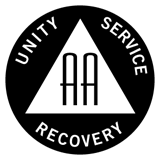 Meeting includes sobriety recognition and a potluck dinner. Please bring something to share.